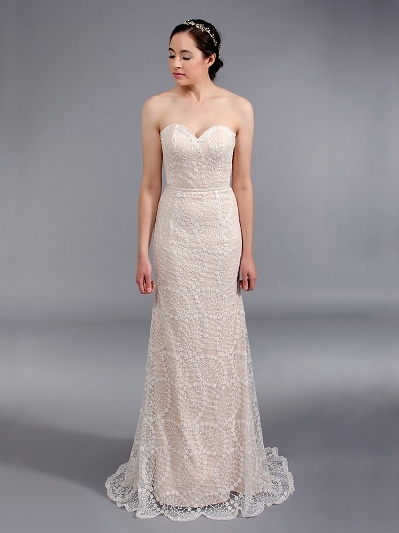 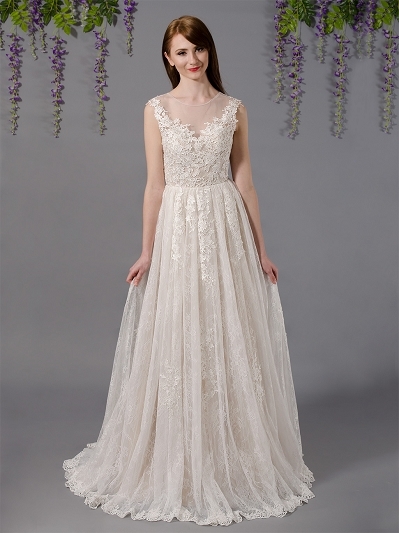 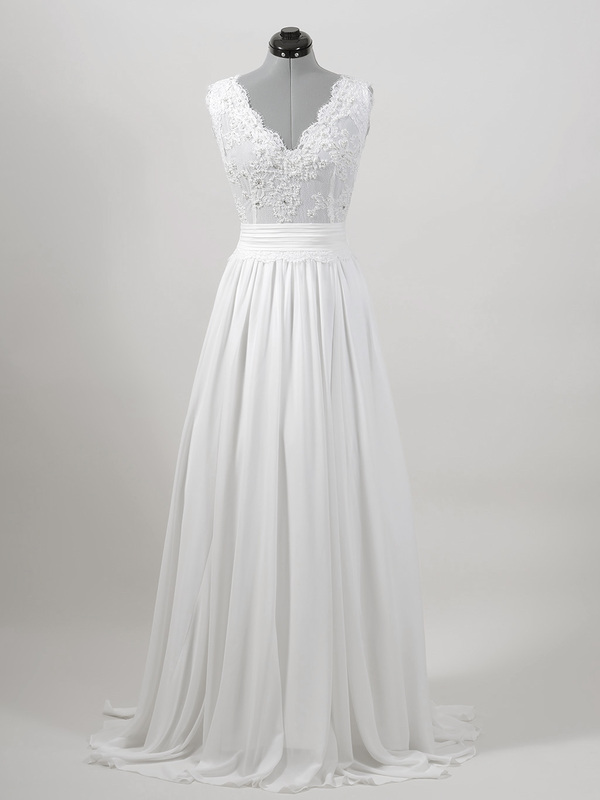 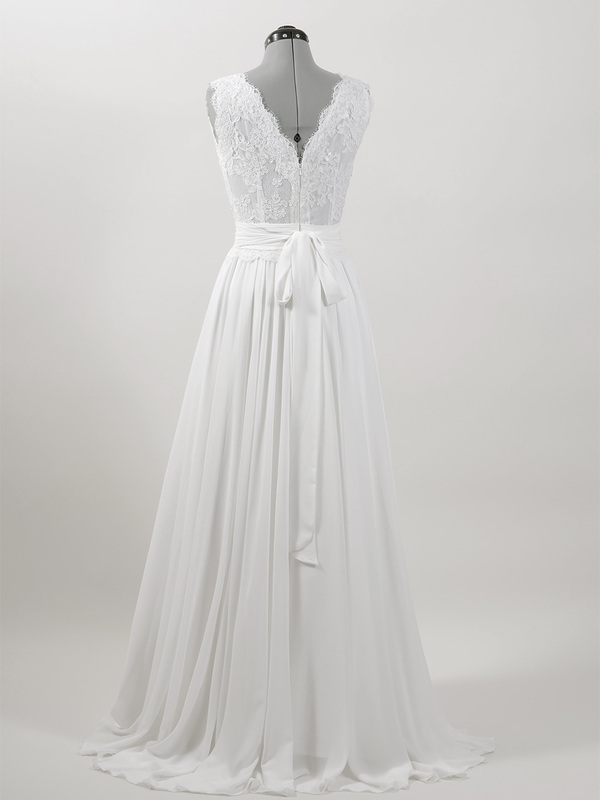 This is an ivory sleeveless wedding dress made of alencon lace and soft chiffon fabric. 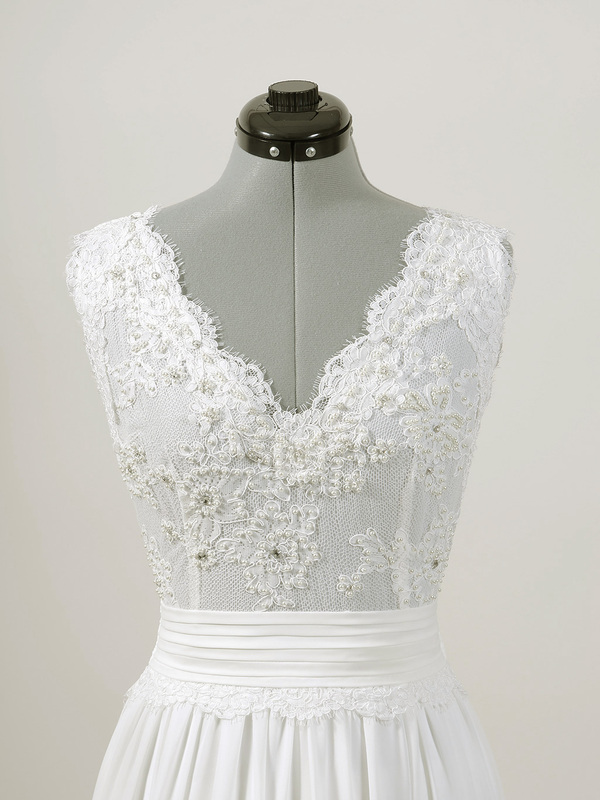 Pearls and rhinestones beading on the front bodice. 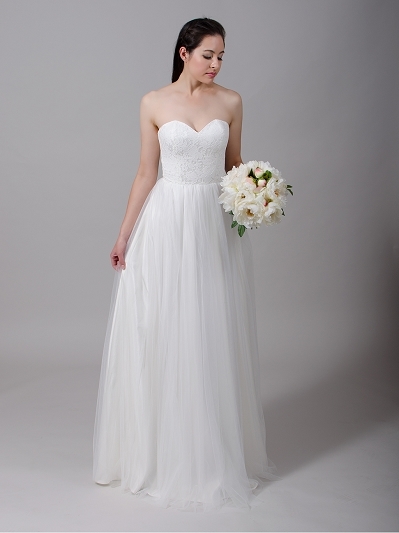 The A-line chiffon skirt gathers at the waist. 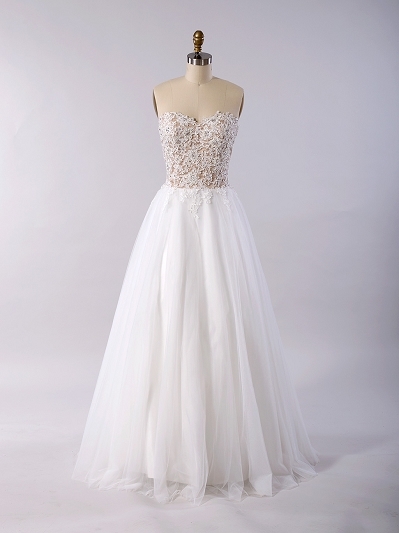 Available in size 2 ~ 20 and custom size.